Blurb Drawing into the future. 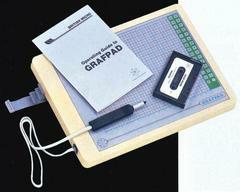 Graphics pad complete with light pen and software. Notes Came with the Grafpad tape.